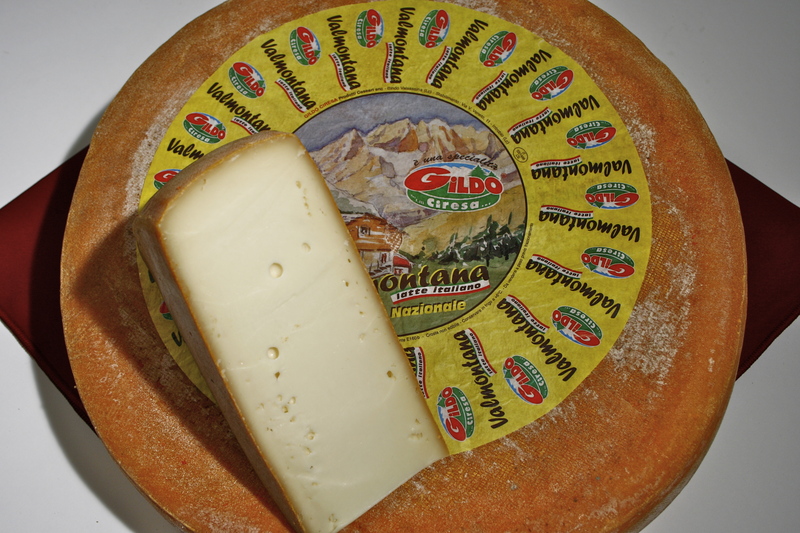 Valmontana is a typical cheese of the Alpine valleys. It has traditional characteristics very similar to fontina cheese that comes with accurate processing of Italian milk of the highest quality, following the traditional artisanal methods. The rind is smooth, natural brown, compact and elastic; the paste is white or pale yellow with small round holes and light due to natural fermentation. The taste is full, delicately sweet and aromatic. It lends itself in a variety of food preparations. Produced by an artisan-style, family-run dairy business Gildo Ciresa in Italy. Click here to find out more. Ingredients: Italian pasteurized cow milk, rennet, salt. The minimum percentage fat in the dry matter is 45 %. Maturingn takes place in natural moist for 2 – 3 months. Store in a refrigerator at + 6 °C.